Ausable Valley Home Inspection strongly advises realtors to discuss these terms with the party ordering the home inspection. The scope of any ordered inspection is a limited visual inspection of the general systems and components of the home to identify any system or component listed in the report that may be in need of immediate major repair. All inspections will be performed in compliance with generally accepted standards of practice, a copy of which is available upon request. Any area that is not exposed to view, is concealed, or is inaccessible because of soil, walls, floors, carpets, ceilings, furnishings, or any other thing is not included in any ordered inspection. Inspections do not include any destructive testing or dismantling. Client agrees to assume all the risk for all conditions that are concealed from view of the time of any inspection. Ordered inspections are not a home warranty, guarantee, insurance policy or substitute for real estate transfer disclosures that may be required by law. 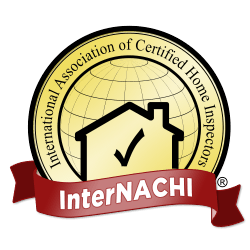 I am a home inspection generalist and I do not act as a licensed engineer or expert in any craft or trade. If I recommend consulting other specialized experts, you would do so at your own expense. Any dispute, controversy, interpretation or claim including claims for, but not limited to, breach of contract, any form of negligence, fraud or misrepresentation arising out of, from or related to, this contract or arising out of, from or related to the inspection or inspection report shall be submitted to final and binding arbitration under the Rules and Procedures of the Expedited Arbitration of Home Inspection Disputes of Construction Arbitration Services, Inc. The decision of the Arbitrator appointed thereunder shall be final and binding and judgment on the Award may be entered in any Court of competent jurisdiction. Client promises inspector that client has requested this inspection for Client’s own use only and will not disclose any part of the inspection report to any other person with these exceptions ONLY: one copy may be provided to the current seller(s) of the property for their use as part of this transaction only, and one copy may be provided to the real estate agent representing Client and/or bank or other lender for use in Client’s transaction only. Client and inspector agree that should a Court of Competent Jurisdiction determine and declare that any portion of this contract is void, voidable or unenforceable, the remaining provisions and portions shall remain in full force and effect. Client understands and agrees that any claim for failure to accurately report the visually discernible conditions at the Subject Property, as limited herein above, shall be made in willing and reported to the inspector within ten business days of discovery. Client further agrees that, with the exception of emergency conditions, Client or Client’s agents, employees or independent contractors, will make no alteration, modifications or repairs to the claimed discrepancy prior to a re-inspection by the Inspector. Client understands and agrees that any failure to notify the Inspector as stated above shall constitute a waiver of any and all claims for said failure to accurately report the condition in question. INSPECTOR’S LIABILITY FOR MISTAKES OR OMISSIONS IN ANY INSPECTION REPORT SHALL BE LIMITED TO A REFUND OF THE FEE PAID FOR THE INSPECTION AND REPORT. THE LIABILITY OF INSPECTOR’S PRINCIPALS, AGENTS AND EMPLOYEES IS ALSO LIMITED TO THE FEE PAID. THIS LIMITATION APPLIES TO ANYONE WHO IS DAMAGED OR HAS TO PAY EXPENSES OF ANY KIND BECAUSE OF MISTAKES OR OMISSIONS IN THIS INSPECTION AND REPORT. THIS LIABILITY LIMITATION IS BINDING ON CLIENT AND CLIENT’S SPOUSES, HEIRS, PRINCIPALS, ASSIGNS AND ANYONE ELSE WHO MAY OTHERWISE CLAIM THROUGH CLIENT. CLIENT ASSUMES THE RISK OF ALL LOSSES GREATER THAN THE FEE PAID FOR THE INSPECTION. CLIENT AGREES TO IMMEDIATELY ACCEPT A REFUND OF THE FEE AS FULL SETTLEMENT OF ANY AND ALL CLAIMS WHICH MAY EVER ARISE FROM ANY ORDERED INSPECTION. AUSABLE VALLEY HOME INSPECTION’S PERFORMANCE OF ANY ORDERED INSPECTIONS AND/OR WARRANTIES IS CONDITIONED UPON THE ORDERING PARTY’S AGREEMENT TO THE ABOVE TERMS, CONDITIONS AND SCOPE OF INSPECTION.